Congratulations on completing your qualification. The 2017 graduation and award presentation ceremony will be held on 28th July 2017 at the St Thomas Center, Ardwick, Manchester M12 6FZ (St Thomas Centre is a renovated Grade 2 listed Georgian church – the third oldest church in Manchester). Due to the high volume of students who have been successful in obtaining their qualification with us, we have organised the ceremony on Friday. Our Graduation team will send you a detailed email, informing you the specific time slot allocated to you. 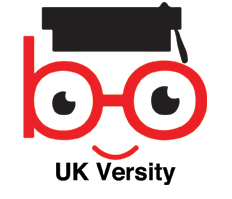 Bring along your family and friends to help you celebrate your success together with UK Versity Online staff and colleagues. There will be an opportunity for you to all have professional photographs in your cap and gown as well as some fun shots in our photo booth! Refreshments will be available for you all to enjoy. There will also be an opportunity to purchase some of the memorabilia to help you remember this exciting event and as well as your time as a UK Versity Online as a student. We look forward to celebrating your success and seeing you at your graduation – please fill the form below to book your place now! Our professional photographers will be available on the day for you to have individual portrait shots as well as photographs with friends and family. Photographs will also be available of you walking over the stage. You will be able to purchase and collect the photograph of you walking over the stage on the day. Portrait and group photographs will take up to 28 days to process and then they will be posted to you. Female: White or plain coloured blouse with a suit, skirt or trousers, whichever you prefer. Male: White or plain coloured long sleeved shirt, Tie if preferred. Suit or jacket and trousers.